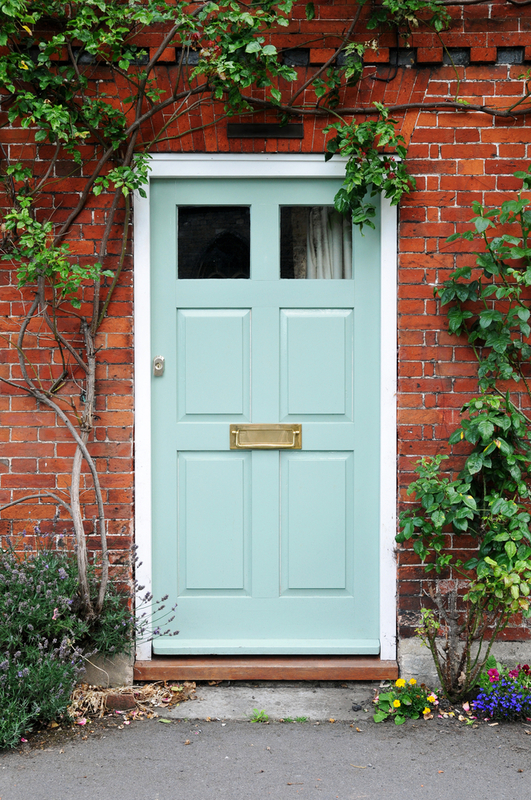 The colour of a front door isn’t something people often think of in UK homes, especially semi-modern and urban ones. They tend to have more creativity within US and rural homes, going for darker or coloured doors. Is there a trend or fashion in what front doors people use? There are a few elements to consider here, from practical things like fitting in with the style and look of the street, to more artistic elements such as feng shui and no, we’re not joking. Before we delve into the weirder methods of choosing the right kind of door, it’s important to outline the importance of staying in trend with the rest of the street. There are plenty of opportunities to make a statement in your own home, but a front door is probably not one of those opportunities. If you live in a modern, urban estate you will probably be better off choosing white UPVC doors. Anglian Home offer these doors as well as patio and French doors that should be considered above anything too colourful if you’re in this situation. Homes in countryside also benefit from UPVC doors on and energy-saving level, but they do have the advantage of more colour freedom. Solid wood barn doors can fit into this kind of house front. They don’t offer as much insulation as UPVC but they certainly cut it aesthetically. Depending on the brick or stone used on the house, darker wood, black & even crème doors will fit in. If you wanted the best of both worlds here- the colour and the insulation properties- then a coloured UPVC door may be the best option. You can get most popular colours in UPVC, and give the chance to add some real character to the front of a home. Although it may sound odd, there’s been a lot of time and effort into documenting the various aspects of a feng shui front door. These aspects extend to what you can see around the door and what the house is like after immediately going through it, but the most basic part of a door’s feng shui. To condense what seems like a very comprehensive description of choosing the right door colour for feng shui, it depends on which of the five feng shui elements- fire, earth, metal, water & wood- you want to focus on, but also where the door is in relation to your house and the compass. South-facing doors align with fire elements, which support wealth, inner warmth and career prospects, and are usually red or orange, whereas north–facing ones are metal, aligning well with calmness and clarity. For metal, the colours are grey and white.